Peak Hill is a small town located in central west New South Wales, approximately 400 kilometres west of Sydney. It is known for sheep farming and production of merino wool. Peak Hill court house is located on Derribong Street, next to the local police station. Peak Hill is approximately 50 kilometres from Parkes for public transport linkages. Alternatively, it is about 5 hours driving from Sydney.  Visit Sydney Criminal Lawyers® for Criminal & Traffic Lawyers for Peak Hill Local Court.